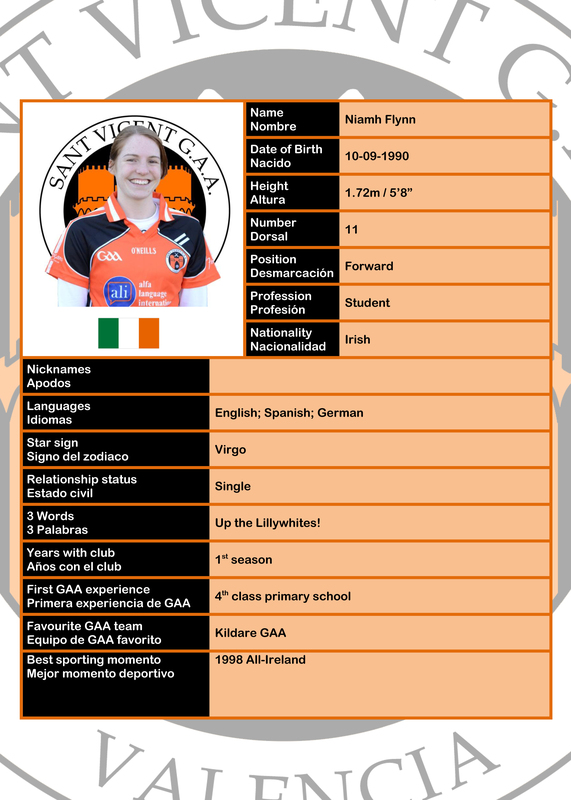 The forward from Kildare in her first season with Sant Vicent put on a display of deadly finishing in the first round of the 2012 Iberian Championship in Seville. In game 1 against Barcelona she scored a goal and two points, followed by an incredible 4 goal 3 point performance in the historic win over Madrid and finally 2 goals and a point in the final loss to Seville. Her points tally for the day read 7 goals and 6 points! The big English defender had a fantastic outing for Valencia in the pressure position at full-back. Solid into contact and never afraid to lower the shoulder, Lofty took on all-comers with and without the ball. His outstanding attitude was demonstrated further when he stepped up to take kick-outs in Valencia’s final game of the day when injuries forced positional changes. He carried out his duties with aplomb and was deservedly recognized by his team-mates.